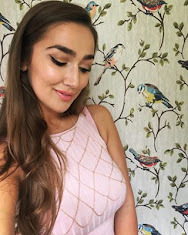 Another nail varnish post already?! Yep. OBSESSED. This means I bought 4 nail varnishes in one week...did I NEED them? Definitely not. But I realllly wanted them and don't seem to have much will power when it comes to make-up and spending. Plus 2 for £8.00 for Models Own in Boots was just TOO tempting. I went for Mystic Mauve which is lilac metallic with a silvery shimmer. I'm loving almost anything metallic at the moment. As there was a deal on I couldn't resist getting another one and all the glittery ones were beaut. Decided I'd go for one that complimented the metallic so I could layer the glitter over the metallic for an even more metallicy finish. I love glitter nail varnish because it has loads better staying power than normal nail varnish...but then a nightmare to remove. This is where my new 'magic' nail varnish remover comes in. 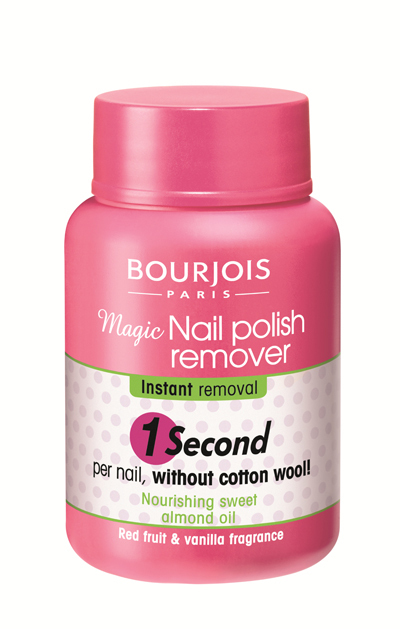 I have seen quite a few posts about the Bourjois Magic Nail Polish Remover but wanted to talk about how it is at taking off glitter nail varnish as it is such a nightmare. Sometimes it even hurts to take off with cotton wool as its so stuck on! I wouldn't go as far to say it is magic or a miracle but I do like it a lot and really handy (pun intended) when you paint your nails and change nail varnish so often! Basically it is a pot with a black sponge inside filling with nail varnish remover with a hole in, you dip your fingers in one by one and wiggle it round and voila! It is acetone and paraben free, has sweet almond oil in and is 'red fruit and vanilla' scented so smells delish! It doesn't take just one second but definitely does a better job for glitter nail varnish. You do have to keep your finger in there longer but it is loooads easier than rubbing away with about 2 cotton wool pads for each finger! Also handy if you're like me and are a bit of a perfectionist and just want to re-do one or two nails, saves the dreaded cotton-wool-stuck-to-nail-varnish drama! I put the Mystic Mauve on first and then two layers of Pink Fizz.